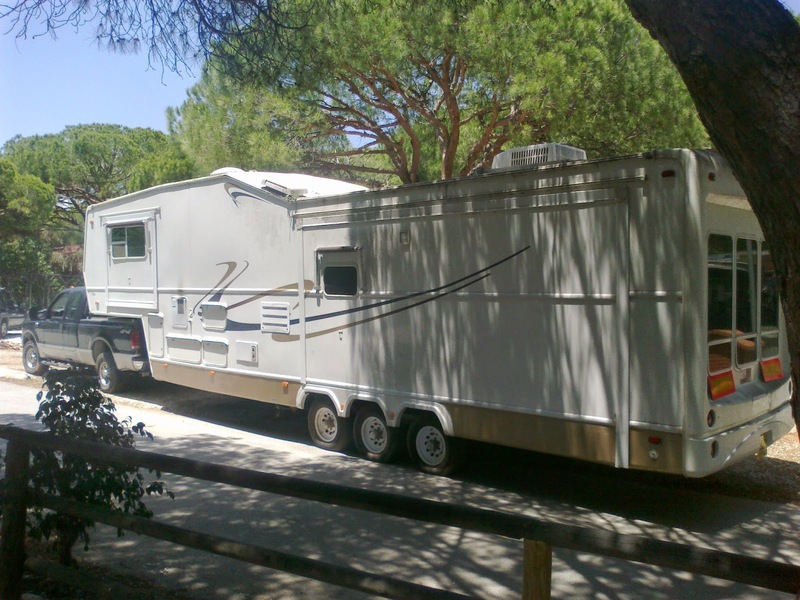 After we towed the Montana 5th wheel from Cabopino to Marjal, we were asked to move another 5th wheel from the same site, again to Marjal. 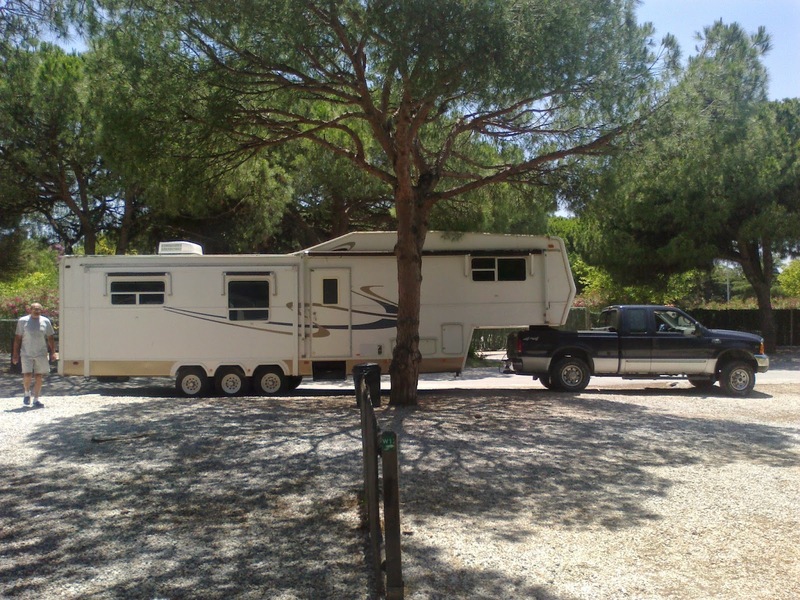 The trailer in question was a 35ft Recreation By Design fifth wheel. It had been on the pitch for 4 years and since it was put there, trees had grown, other permanent pitches had been established, subsequently making extracting it a difficult exercise. It took about half an hour with many shunts but eventually it came out. 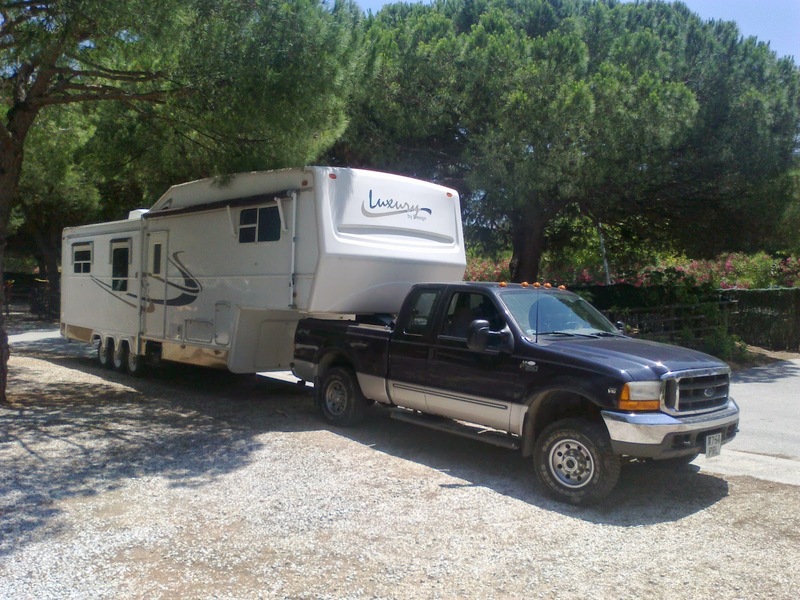 This week alone we have moved a total of six 5th wheels, travel trailers and caravans in Spain, covering a distance of over 2000 miles. 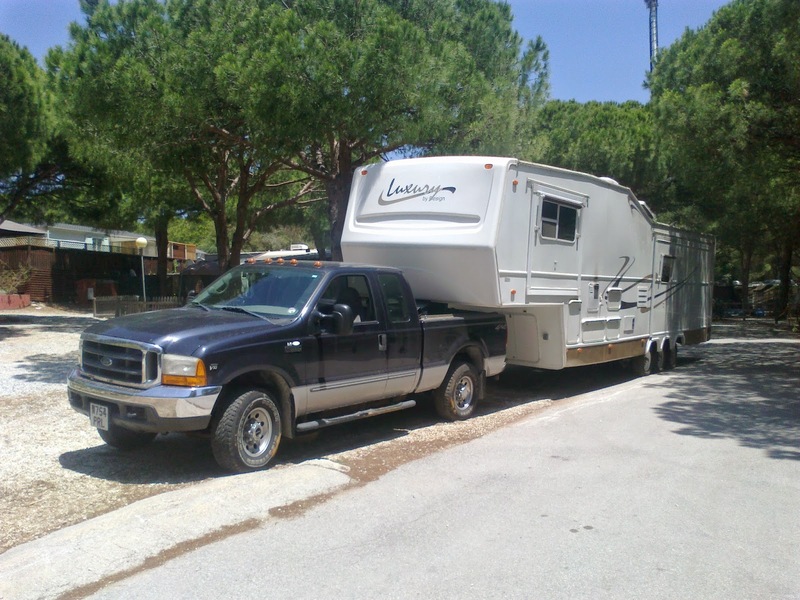 Ir you need your 5th wheel towing in Europe, please get in touch. Details on the contact page.